In Stella Adler's The Art of Acting, her seminal work on the performing arts, transcripts from Adler's acting classes were lovingly transformed into a readable volume. In the same vein, The Art of Living presents transcripts from legendary business speaker and mentor Bob Proctor's most popular workshop-Matrixx-and brings this wisdom to a wider audience in book form. 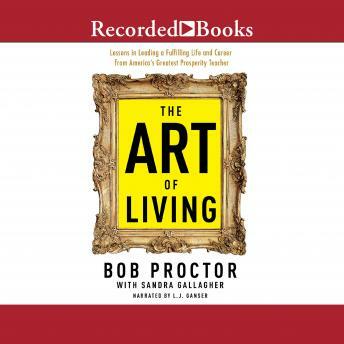 With this book, the reader will become a student of Bob Proctor's, as he teaches lessons and presents jewels of wisdom on living an extraordinary life. Readers will marvel at Proctor's miraculous way of disseminating his decades of business wisdom into easy-to-understand parables, and learn lessons on what our creative faculties are and how to use them, why we need to unlearn most of the false beliefs we've been indoctrinated with our whole lives, and how our intellects have the ability not only to put us ahead in life, but also to be our biggest detriment.